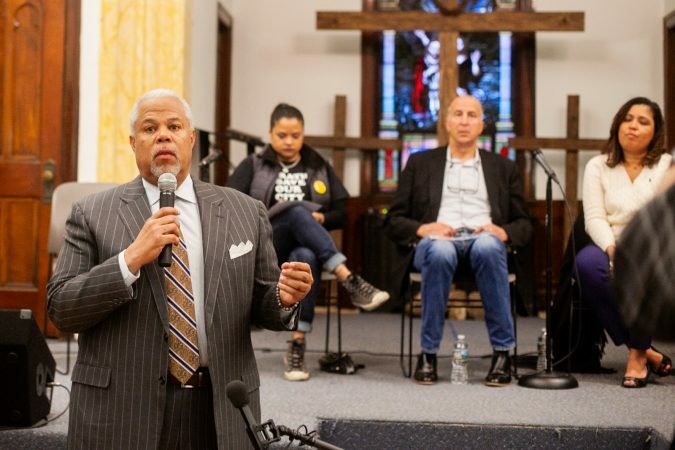 A political challenger to Philadelphia Mayor Jim Kenney is criticizing a supervised injection site proposed for the city. 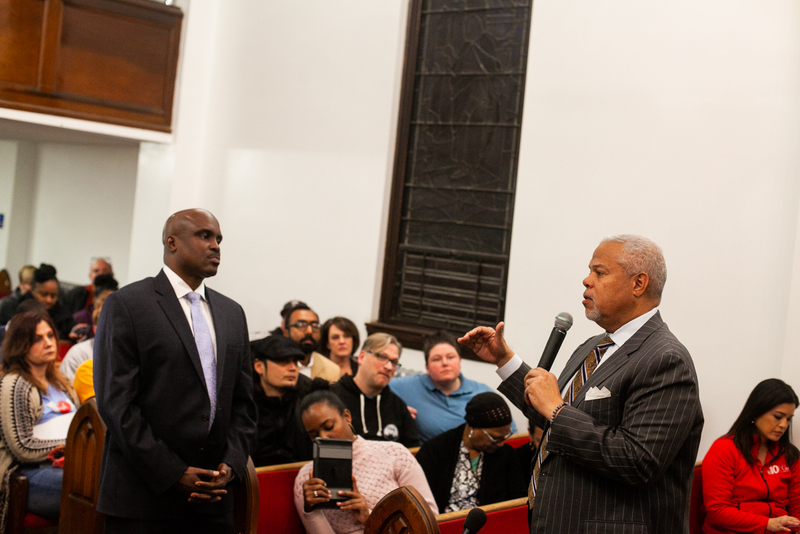 Speaking at a contentious community forum in Kensington last night, Democratic state Sen. Anthony Williams said he opposes opening a place where people addicted to drugs could use them under medical supervision. 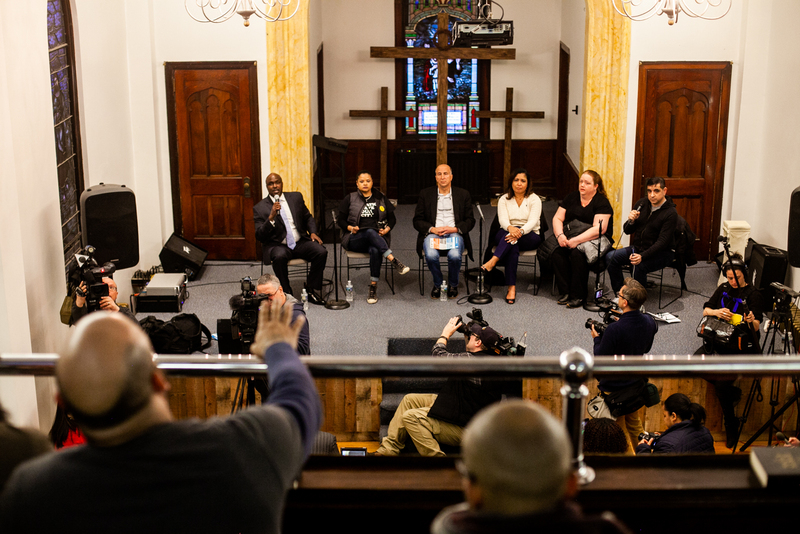 A rowdy crowd attended the discussion at a neighborhood church, where both supporters and opponents of the controversial facilities, sometimes called “safe injection sites,” shouted over speakers, including Williams. 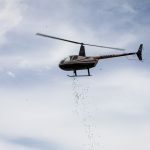 “There’s nothing safe about a non-controlled substance with we don’t know what’s in it being injected into anybody,” Williams said. 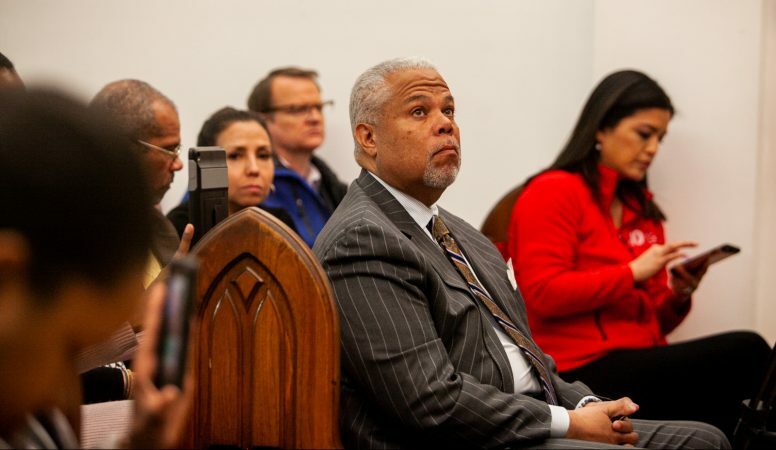 Williams, who represents Southwest Philadelphia and parts of Delaware County, said it wasn’t wise to move forward with a supervised injection site while it still faces serious legal threats. 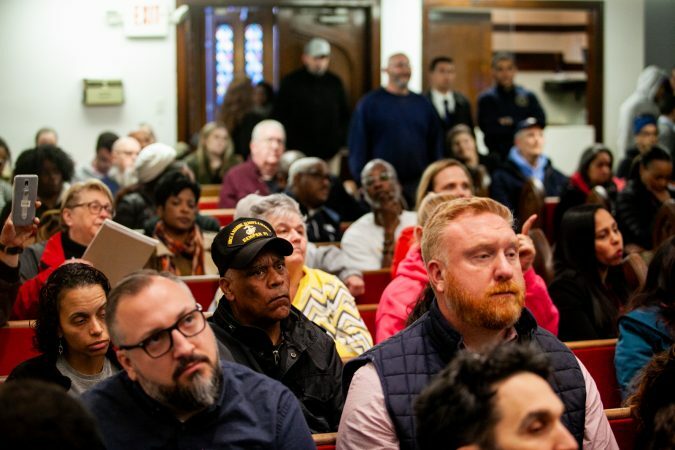 “The moment we open a safe injection site in Philadelphia, the federal government will be here shutting it down,” he said. Safehouse, a nonprofit that intends to open and operate such a site, recently announced it’s close to securing a location just off of Kensington Avenue. The U.S. attorney in Philadelphia, William McSwain, sued Safehouse in February, asking a judge to deem the proposed operation illegal. Last year, Deputy Attorney General Rod Rosenstein vowed that the Justice Department would prosecute anyone who attempted to open one. 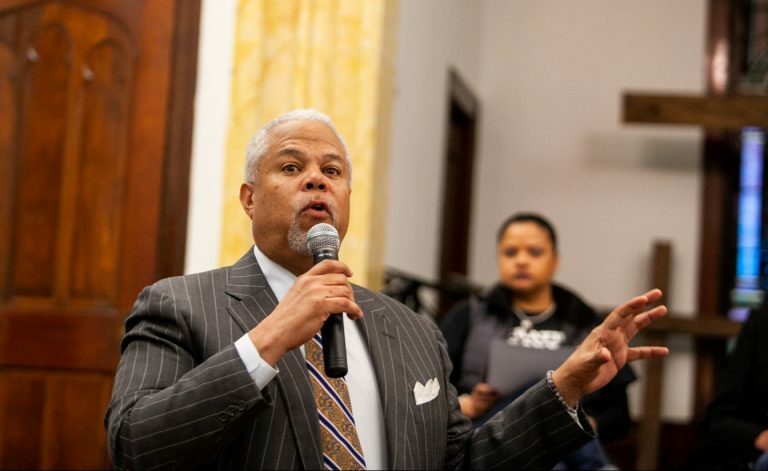 Williams said that besides the legal uncertainty, he feels the community’s voice had been largely left out of the plans to open a site in Kensington. 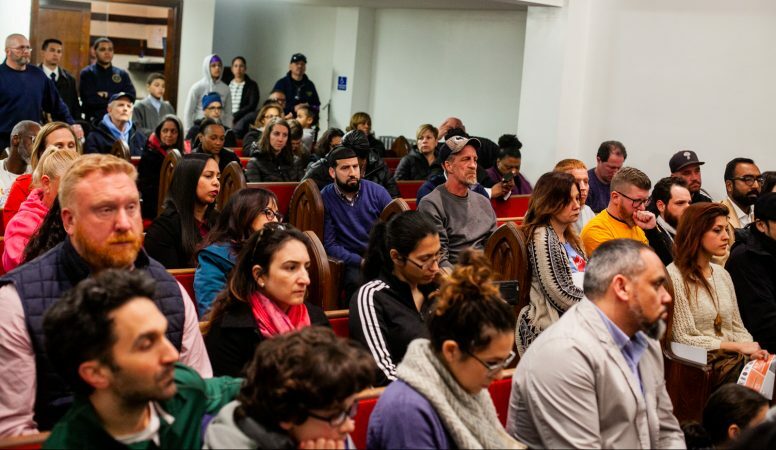 Many vocal residents who attended Monday night’s forum agreed, and said the location Safehouse was eyeing was too close to homes, schools, and businesses. They worried it would attract drug dealers and violent crime in the vicinity. 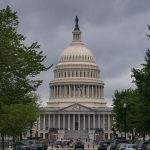 “There are just too many innocent lives that have been disrupted by this opioid epidemic,” said Gilberto Gonzalez, whose 14-year-old son attends Conwell Middle School, located about four blocks away from the potential Safehouse location. 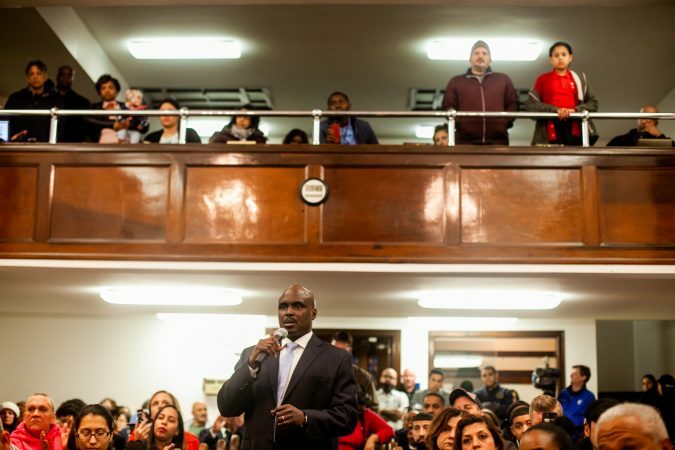 Gonzalez said the issue could influence his vote in the mayor’s race this year, and that Kenney wasn’t giving enough attention to the community’s concerns. 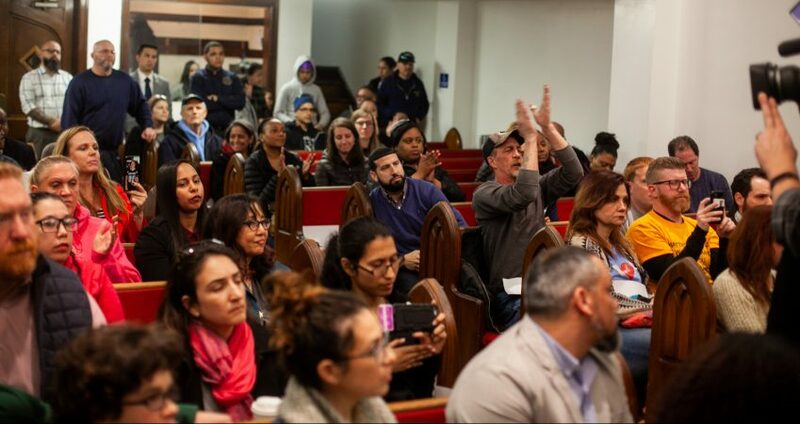 “He does not want to engage us; he was invited to come here, he was invited to come to other meetings, and he’s avoiding the issue,” Gonzalez said. 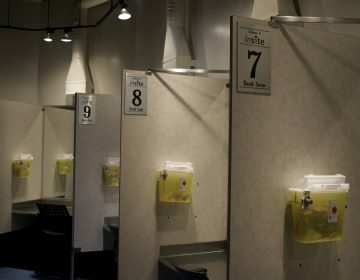 The Kenney administration announced at the beginning of last year that it would support the opening of a supervised injection site in Philadelphia, but that the city wouldn’t operate or fund it. 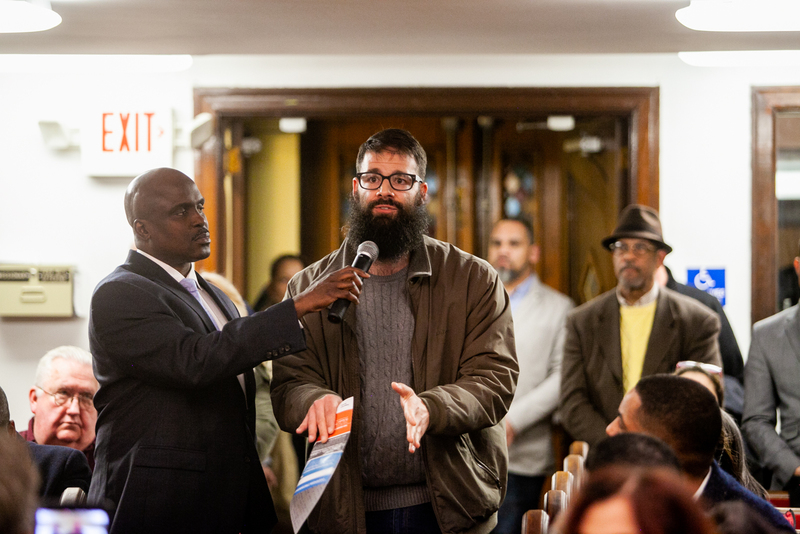 The city held a series of public meetings throughout the city to seek public feedback following the announcement, including in Kensington. 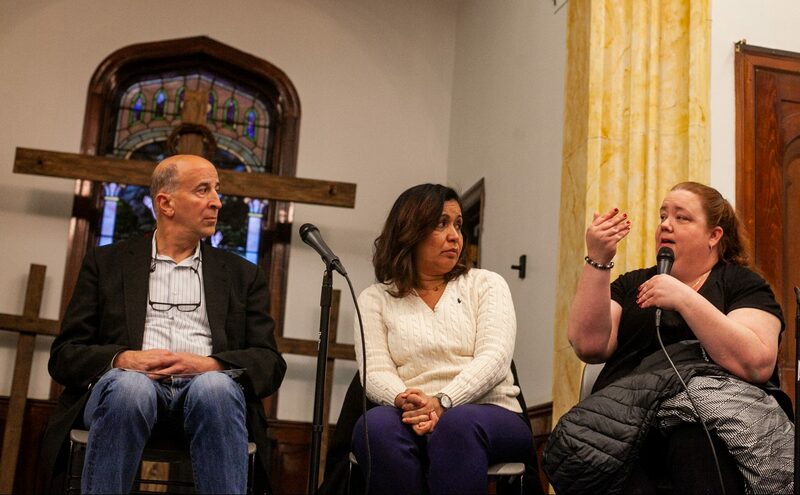 Members of the Kenney administration attended a different meeting in the neighborhood last week. 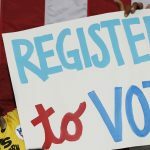 “If Sen. Williams wants to use the Trump wedge issue to get himself some attention then that’s up to him, but he has not given us any indication of what he would do differently to save people’s lives,” Kenney said. An estimated 1,100 people died of drug overdoses in Philadelphia last year. 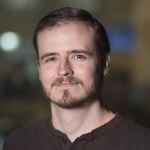 WHYY’s Dave Davies contributed reporting to this story. Though he won't stand in the way of a supervised injection site in Philadelphia, Pennsylvania Gov. 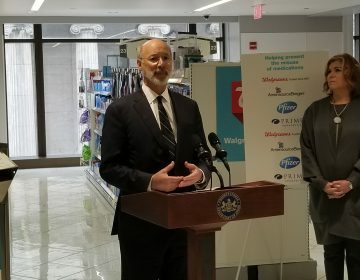 Tom Wolf opposes the facility. 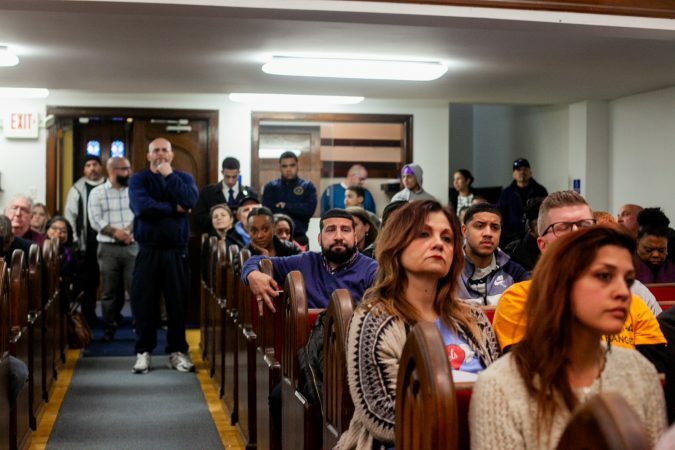 With the DOJ trying to shut down Philly's supervised injection site before it opens, it seems unlikely even lawmakers who support the idea will provide help to make it happen. During the 1990s AIDS crisis, Philly officials dared to back needle exchanges. 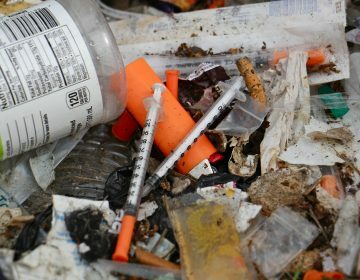 Now, amid the opioid epidemic, city officials are supporting another controversial strategy.